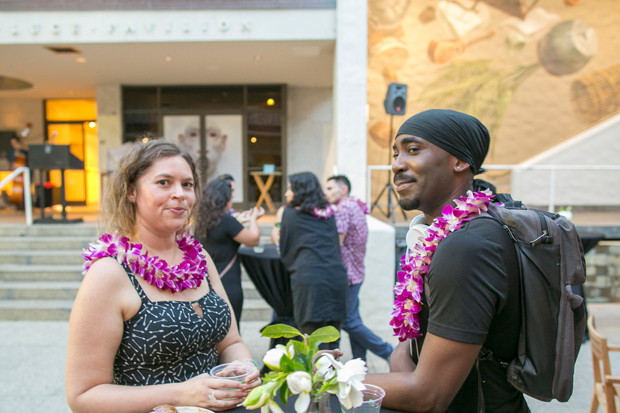 In her opening remarks, Plant underscored the importance of art education to the museum’s mission—and the volunteers’ key role in art education, from welcoming people to Bank of Hawaii Family Sunday with gallery hunt forms to helping guests through an art activity at ARTafterDARK. 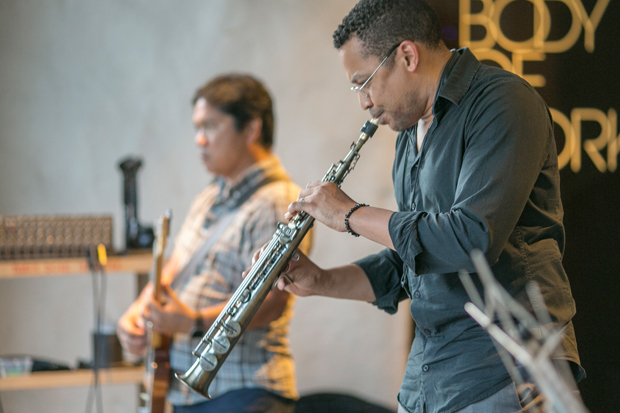 In return volunteers are able to give back to the community in a meaningful way, have access to amazing art, and meet new people. Museum trustee and art education godfather Duane Preble, right, with the museum’s director of learning and engagement Aaron Padilla. Duane has volunteered with the museum for 45 years. 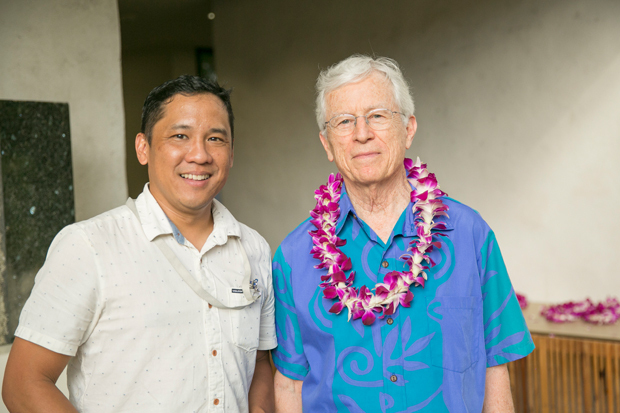 University of Hawai‘i art professor emeritus and museum trustee Duane Preble—the godfather of western art education in Hawai‘i—was honored for 45 years of volunteering at the museum’s Art School and Lending Collection. Mayor Kirk Caldwell with Farrington High School volunteers, who are an essential part of Bank of Hawaii Family Sunday. 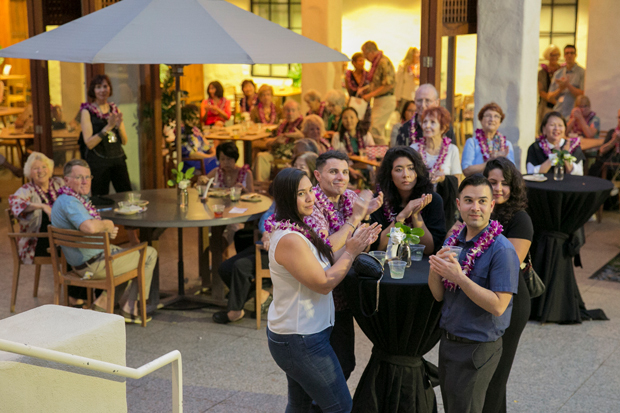 Museum trustees also attended the event to express their gratitude to the volunteers. 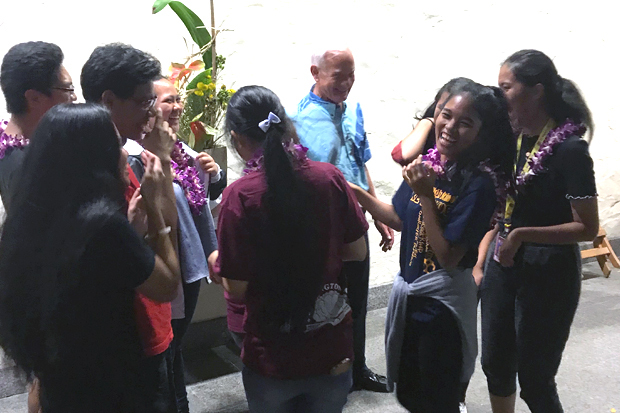 Mayor Kirk Caldwell accompanied his wife, museum trustee Donna Tanoue, and had a moment with Farrington High School Key Club students (they help out so much at Bank of Hawaii Family Sunday). 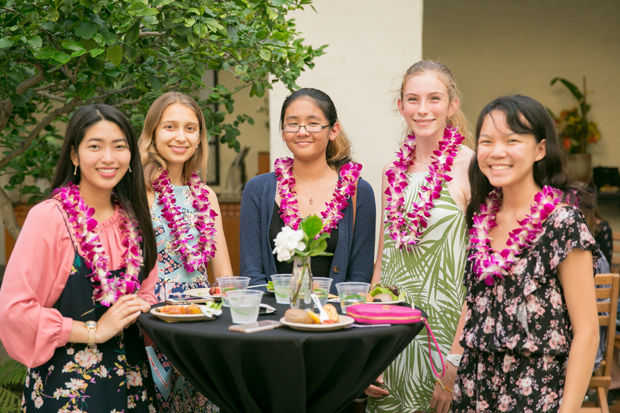 Again, a big thank you to our volunteers, from the youngest, most recent additions such as Monica Kenny to our longtime, dedicated docents such as Cookie Stephan. We couldn’t do all that we do without you. 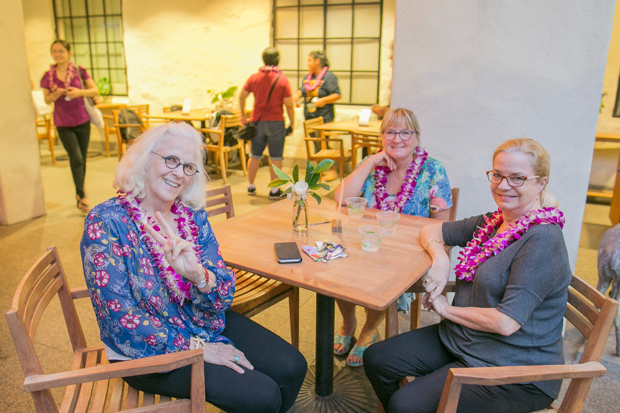 Director Sean O’Harrow with volunteers who have served for 30 years—Elaine “Tiny” Chang, artist Marcia Morse, artist Allyn Bromley, and Lisa Shugart. 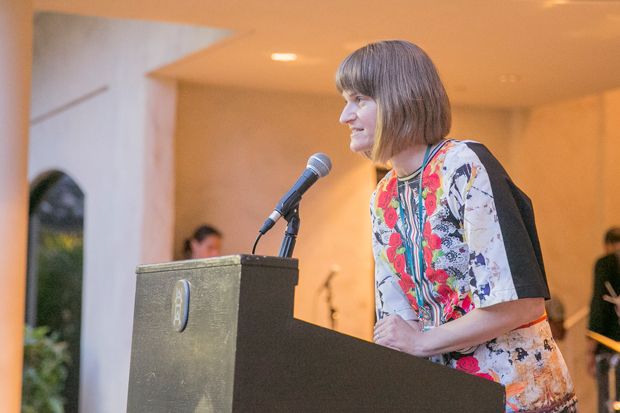 Janna Plant thanks her ‘ohana of volunteers. Volunteers Moriell Greenleaf and Bryan Hicks. Volunteers Claudia Macleod, Dana McAlpine, and Annie Landrum. 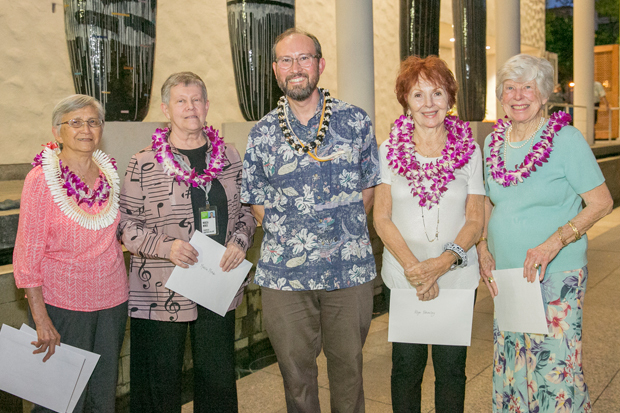 to our docents Ivor Kraft, Roger Couture, Barbara Higgins, Shirlee Beasley and Margaret Mann.